My name is Maura Lepore, I am the Programs Coordinator at the Kemptville Youth Centre. We would love for you to be a part of our Fashion Show. 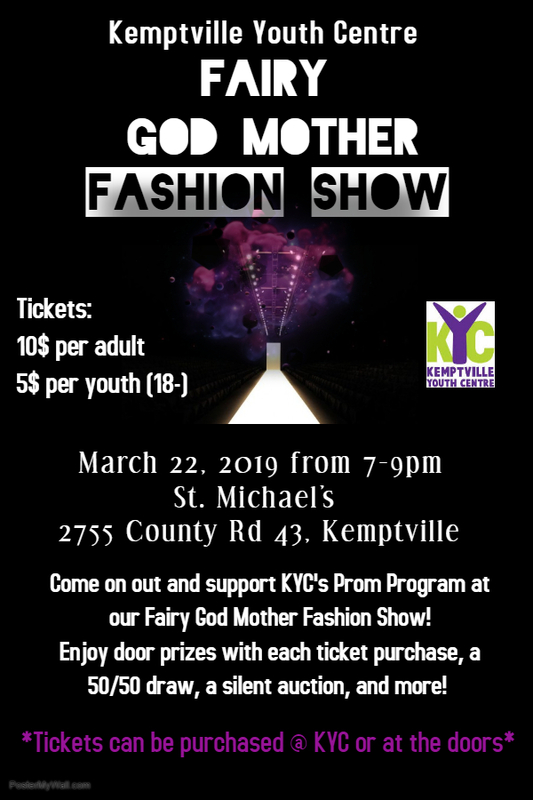 On Friday, March 22nd , 2019 KYC is hosting our annual Fairy God Mother Fashion Show taking place at St. Michael’s Catholic High School from 7-9 pm. This event is in support of our Prom /Special Occasions Program. The program lends formal attire free of charge to local youth who wish to attend prom or graduation to relieve the financial burden some families may face sending their youth to such events. Our goal is to give every youth the opportunity to attend their prom regardless of financial status. This event is an exceptionally fun and engaging event for the youth to be a part of as they get to enjoy a night filled with fun, music, family & friends, all while feeling like they are living a fairy-tale! Tickets are $10 per adult and $5 per youth (18-). With every ticket purchase guests are entered into a draw to potentially win door prizes. 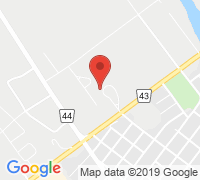 There will also be a 50/50 draw and silent auction. We invite you all to attend or be a sponsor for the event. Donations for door prizes and silent auction items are happily accepted. Your continued support of KYC is much appreciated.